Each team can have one formal team photo. You can can use the Team Photo Editor in SOCS sport. 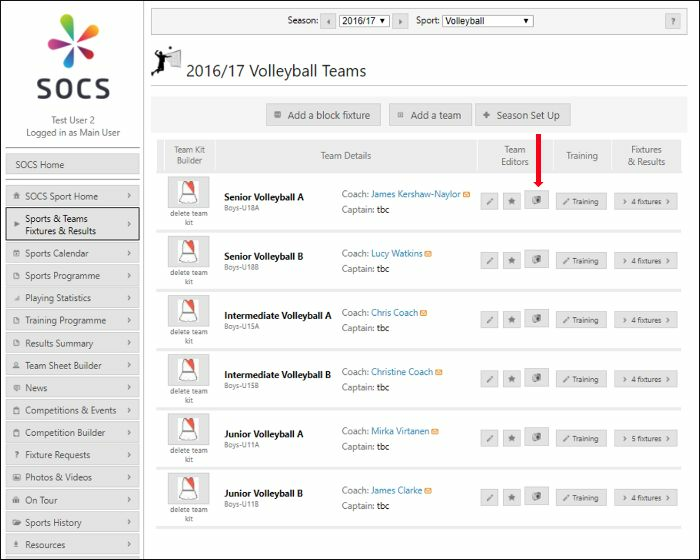 Navigate to your chosen sport and team via the Sports & Teams Fixtures & Results button in the main menu. Click the camera button in the Team Editor column - highlighted by the arrow in illustration 1 below. 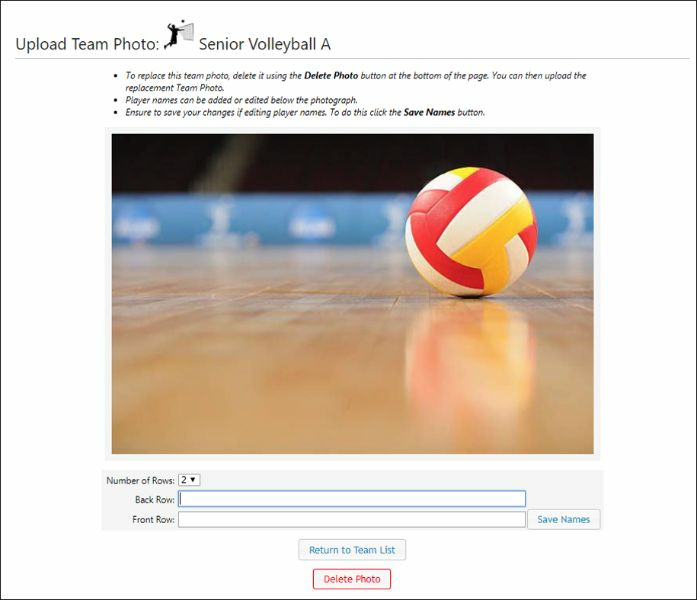 Once the Team Photo Editor screen is displayed, as shown in illustration 2 below, browse and select your team photograph. Once the team photo has been uploaded you can add or edit the names of the players. If you intend to add player names then ensure to select the correct number of rows in the team photo before uploading. See illustration 3 below. 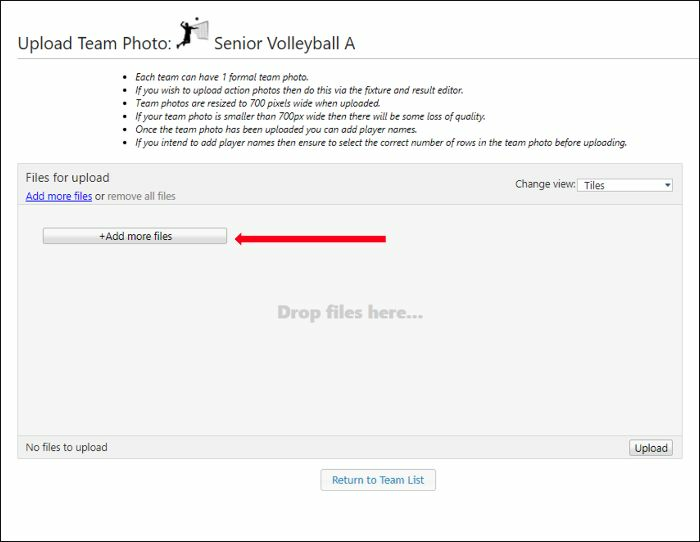 You can replace an existing team photograph by returning to the Team Photo Editor and uploading a new team photograph. If you wish to upload action photos then do this via the fixture and result editor (you can upload 10 action photos per fixture). Team photos are resized to 700 pixels wide when uploaded. If your team photo is smaller than 700px wide then there will be some loss of quality. Resizing the team photo to 700 pixels wide on your computer prior to upload will reduce the upload time. Ensure when uploading photographs that you have the appropriate copyright permission from the photographer.